I have a secret to tell you. Not a lot of people really know or understand what I do as an outdoor blogger. Some might think I’m at my computer all day (sometimes I am!) some might think I just get to go explore cool places (sometimes I do!) but it’s not all sunshine and mountains and waterfalls and rainbows. The truth is, I’ve been struggling. I’ve been struggling with my health for several years now and I’ve also been struggling to find the words to write about it. 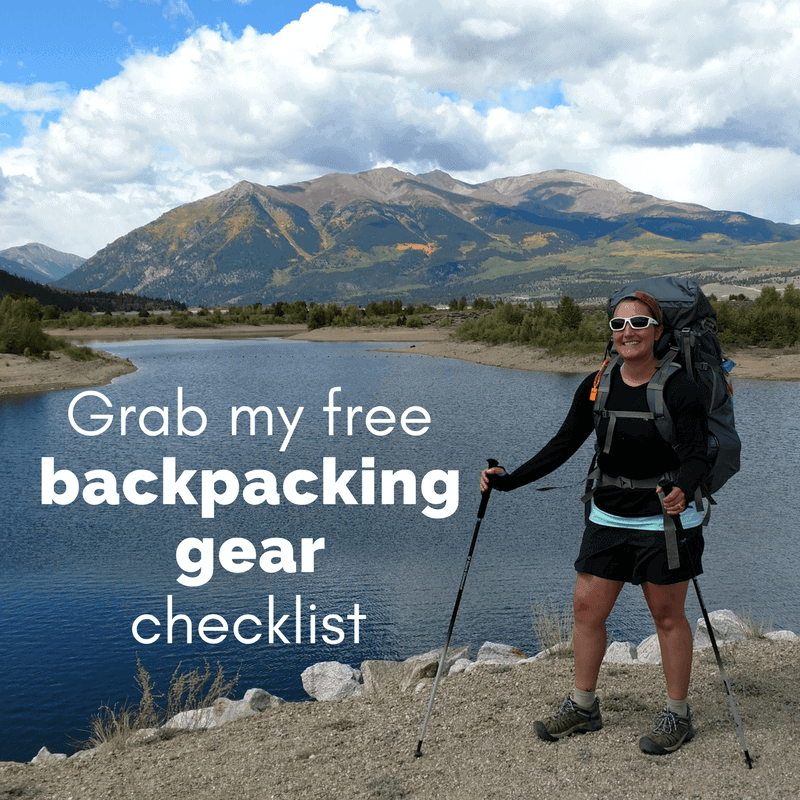 But it is hiking related, so I think it’s time we start talking about it! Okay? So, what’s my deal? Traveling recently with friends was a painful reminder just how far from healed I really am, even though it’s been five years. Five years! Traveling with a group like that reminded me that I’m so not normal, my body is still broken, and it’s not really okay to talk about because people don’t talk about poop in our culture. Even in the hiker culture, it’s embarrassing to admit you got Giardia because people immediately assume you weren’t purifying your water, that it’s your own fault. But I was treating my water. Maybe I am just that unlucky 0.01% Pretty much every water treatment option available can only boast purifying water up to 99.99% I don’t know how it happened, but it happened. 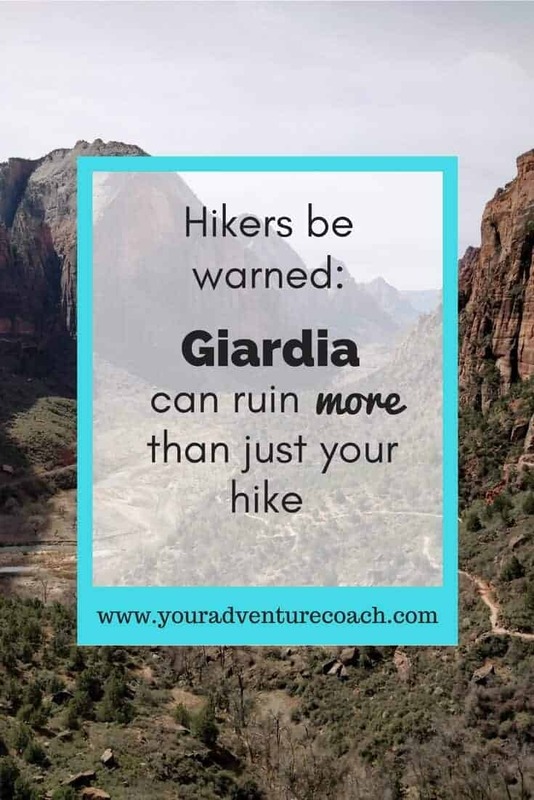 And I was shocked at how many hikers scoffed at me, saying Giardia is ‘just a stomach ache’ and that ‘it goes away in a few days.’ Friend, if you have a stomach ache, that goes away in a few days… that is not Giardia, that is a stomach ache. Ha! Glad we cleared that up. Having giardia was horrendous. On top of losing a ton of weight just from backpacking every day, I also basically stopped keeping food in, it just passed right through me. At the time I didn’t even think too much of it because this was right around Erwin, TN and all the hikers around me were getting Norovirus, a bad stomach flu. So, I thought I was just sick and it would pass. Then all the hikers around me started to recover and go on their merry way. Some even started to express concern for how spookily thin I was getting, and so quickly. That’s when I knew it was time to see a doctor. Sure enough, classic, text-book Giardia symptoms. They prescribed me Flagyl and sent me on my, saying that would take care of it and I could continue my hike. I came to terms with hunkering down in town during the Flagyl regimen, since I was literally spending more time pooping and digging catholes than hiking, it wasn’t worth it to get back on the trail yet. On the last day of my prescription, I scheduled a shuttle back to the trail. I was good to go! I honestly thought once the Flagyl regimen was over, a switch would flip in my gut and I would stop pooping 12-15 times a day. But that was not what happened at all. Not. One. Thing. Changed. I wasn’t better. I was still spending more time pooping than hiking. I still had such bad abdominal pain I couldn’t buckle the waist strap of my pack and had such bad gas everyone assumed my husband (then boyfriend) must have been the culprit. Being the gentleman that he is, he quietly took all the blame. 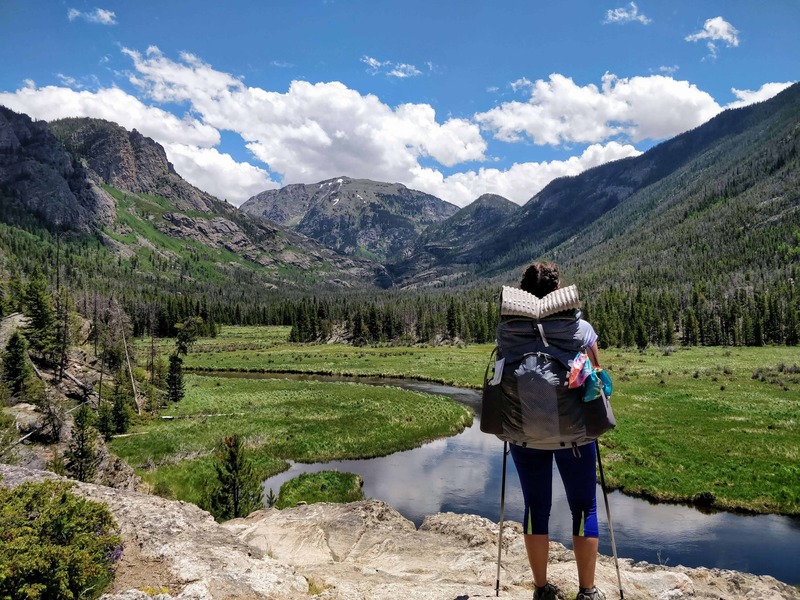 When I called the clinic to ask why my symptoms hadn’t changed, they just seemed perplexed, still insisted the Giardia was gone, I was fine, and could continue hiking. Okay… Great! Every day I would tell myself that that was the day I would get better. But that day never came. I kept on hiking north, my optimism slowly waning. I hopped off the trail twice to take several zero days and meet with different GI specialists. They did every GI related test and exam under the sun – but everything came up negative. The Giardia bacteria wasn’t present, even though I was still showing symptoms. The doctors said I was fine, and to as many anti-diarrheals as I wanted to be able to function, but they couldn’t do anything to prevent my symptoms. 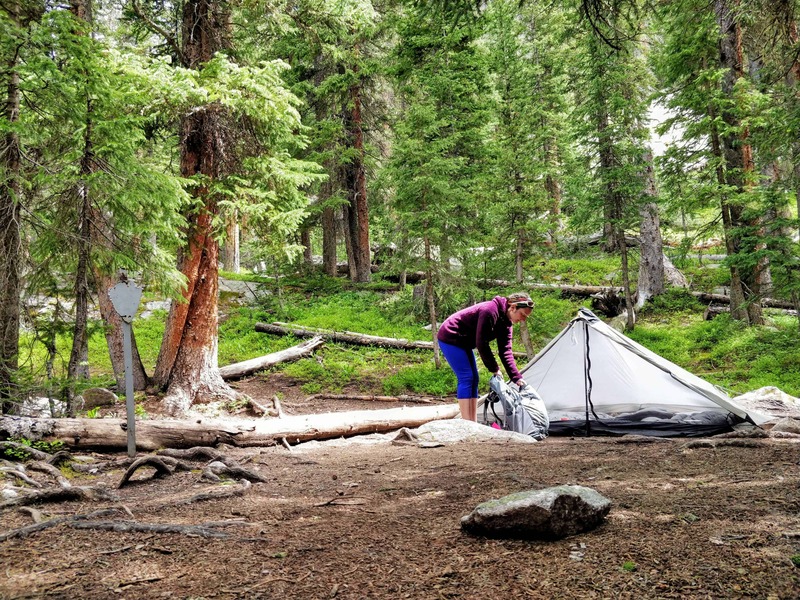 My Giardia symptoms, and lack of recovery, eventually ended my thru-hike attempt. I hiked from Erwin, TN to the NJ/NY line, getting sick all along the way until I finally realized I couldn’t possibly make enough miles in a day to make it to Katahdin. I’ve met with a couple other GI specialists since then, who were also no help at all. One diagnosed me with IBS-D, which he admitted is just what they say when they don’t know what the heck is going on in your gut. I’ve also tried elimination diets, natural remedies, and probiotics galore, but with little success. Don’t get me wrong, my symptoms are not as severe as they were five years ago, and I do have some good days, but traveling in a group made it painfully obvious how not normal it is to have to get up to use the bathroom several times throughout a sit-down dinner, how not normal it is to be afraid of bar hopping because where will I go if I have to poop in between bars, and how not normal it is to sleep with pepto and Imodium under my pillow for when I get sick in the night. But this has been my normal for the last five years and it’s taken a hell of toll on my mindset. It’s hard not to think that that little bug has permanently changed my life for the worse. And it bothers me to no end that there are people, and hikers out there, who don’t think Giardia is something they need to worry about. This is not just a problem in third world countries, so please worry about it! Please do everything you can to prevent contracting Giardia and other water-borne disease and bacteria and learn to recognize the symptoms in case you or another hiker you’re with gets sick. And I think I know what they mean now. If you’ve overcome similar, long lasting symptoms after having Giardia – let me know how in the comments below! Help me spread the word about Giardia, share this post!